Should be dated, late November 2017 ish. Following our journies to Slater Mill and Woonsocket we took a trip to Tomaquag Museum in Exeter, RI. We weren't sure exactly how visiting Tomaquag would inform Back to the Work, but we know that tracing any kind of history on this continent is impossible without first acknowledging how people lived here before colonization. This hold true for investigating material culture and manufacturing. We wanted to be reminded of the kind of manufacturing that was happening in this region for thousands of years before Slater built his mill in Pawtucket. 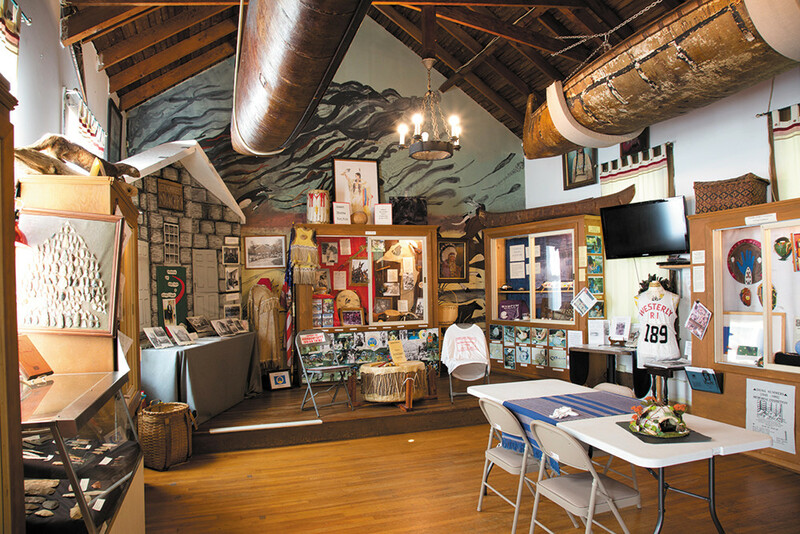 Tomaquag is a space dedicated to the Indigenous history and present-day lives of the people who have always lived in what we today call Rhode Island. It was the perfect place to learn more. 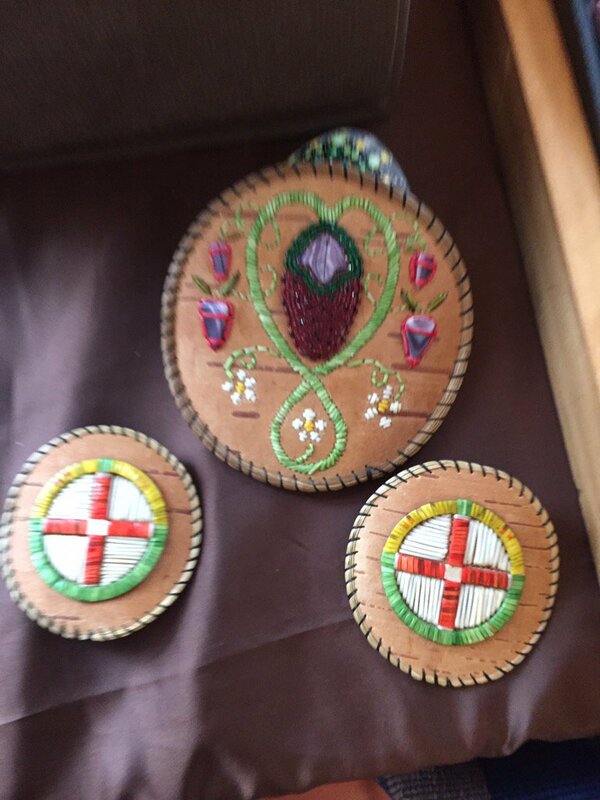 We happened to choose a Saturday where Tomaquag was showcasing a Narragansett artist, Yolanda "Yani" Smith who was doing a live demo of traditional quillwork. Watching Yani's painstaking work to create beautiful barrettes, baskets, and earrings with porcupine quills put a whole new lens on what it would mean to own something that was made with such human skill and attention to detail. She described how her relatives would gather quills traditionally by throwing a blanket over the porcupine and then collecting the quills, but said the ones she was using were store bought. She also hasn't gotten into hand dying them yet, but is curious. Tomaquag is a relatively small, but dense museum and we were lucky that the director Lorén Spears was there that Saturday, and ended up giving us an impromptu tour. Most notably for this project, Lorén talked about traditional basket-making and what an immense process it is from start to finish. She is a basket-maker herself, but says she usually buys the already-processed raw materials because otherwise she'd have to charge $500 for a basket due to all the extra labor. She said people always want her to say she did all of it -- the harvesting, the color dying, and the weaving -- but that no one wants to pay for that extra work. It's pretty easy to see how we have come to devalue the labor that it takes to make objects because of industrialization. I thought of all the random baskets in my house that random gifts and things appear in. I don't even think about the baskets, but if it took me a week's pay or a month's work to make one I probably would. And if I couldn't have a basket without that kind of labor, I would surely care a lot about the basket I eventually acquired. And here, just because it's rad, is Lorén with Michelle Obama.